W is busy working on the Jefferson Chalmers Neighborhood Framework Plan in Detroit, MI! 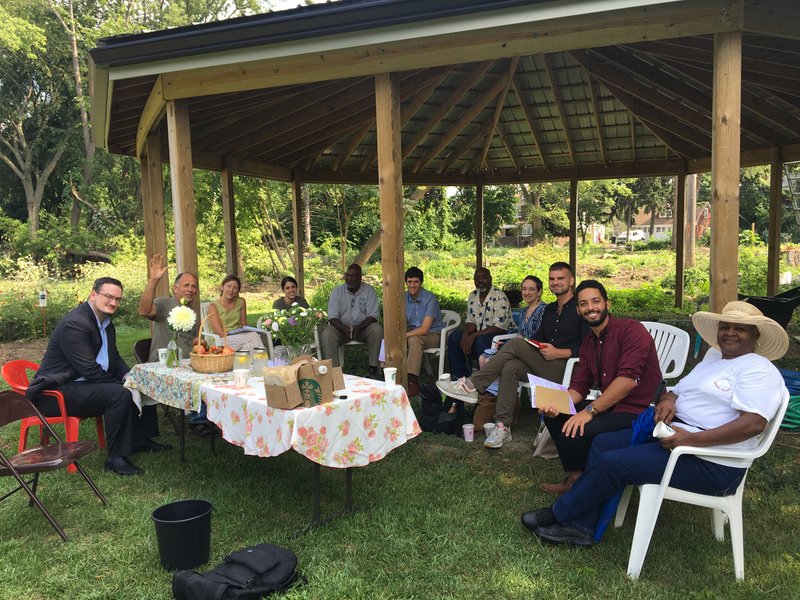 We recently held a focus group with a few land-based ventures in the community to discuss their challenges and their visions for the future. We were joined by our fellow consultants Community Development Advocates of Detroit (CDAD) and Biohabitats, city officials, and four land-based ventures: Manistique Community Tree House, a therapeutic resource center; Detroit Abloom, a cut-flower business; Featherstone Garden, a microgreen and produce supplier; and Ozie Cargile, owner and operator of a permaculture garden in the neighborhood. We will incorporate their lessons-learned, as well as their desires for growth and development, into our work as we move into the strategy phase of design. We will present our first draft of the Neighborhood Framework Plan at the third community meeting on October 9.